Also present at the Bb. Pilipinas 2019 press presentation are some of the reigning queens of Bb. Pilipinas such as Jehza Huelar (Bb. Pilipinas Supranational), Ahtisa Manalo (Bb. Pilipinas International) and Michelle Gumabao (Bb. Pilipinas Globe). 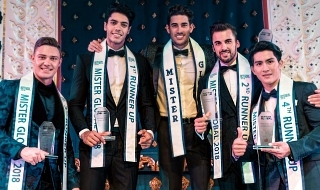 Huelar was impressed by the transformation of this year’s contestants from the date of screening. Meanwhile, Manalo is eyeing for five contestants who might get the Bb. 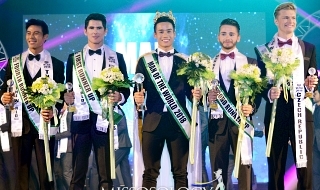 Pilipinas International crown. There’s a big chance that the no-so-tall candidates may shine and be crowned as winners. It’s a good thing for the entire cast of 40 candidates that fairness prevails in the playing field. In short, she meant that height may NOT might this year! Everyone must work hard and play hard and compete hard! May the best ones win. A previous title holder who got unplaced in Japan has said the same thing about Catriona's batch that underdogs were better than the favorites and y'all know what happens. Akosi Junior wrote: A previous title holder who got unplaced in Japan has said the same thing about Catriona's batch that underdogs were better than the favorites and y'all know what happens. 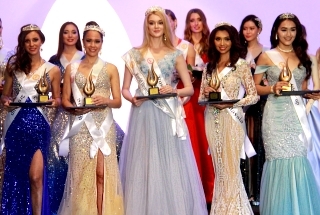 Well, the difference is Mariel is UNPLACED, Ahtisa is 1st runner-up. BIG DIFFERENCE. Message: thank you for this page.